You are currently browsing the Denise Masino Blog weblog archives for June, 2016. Yesterdays live member cam show was so much fun! Thank you to all who attended and made my day just that much better! Sadly the live cam show archive did not work 100% and we only ended up with the first 20 minutes of the show in the archive library. Not to worry though, I shot a new video of what happened during my member cam show and that way you don’t feel cheated by yesterdays technical glitch. Stay tuned for my new video and photos, those will be posted a little later today. Sorry for any annoyance and inconvenience. I’m hoping by plan B will satisfy! I’m taking a break in the sun and working on my tan lines. Lot’s of oil and just a few tan lines. Have a great weekend! Sometimes you have to be Batgirl! I have been running and fundraising with my team The “MissFits 4 Life” for the last 4 1/2 years and although I did my last mud run with my team in Charlotte a few weeks ago, we did not reach our team fundraising goal for this year YET! <smile> As of today we are only $2,280 away from reaching our “St Jude” fundraising goal for the year. Which incidentally would put our 5 year total at $100,000.00 raised for the kids of St Jude. I recently learned that my fundraising page will be shut down on 6/30/16 , so I still have time to make it happen. I have decided that I will continue to run until my fundraising page is shut down or until we raise that last $2,280. 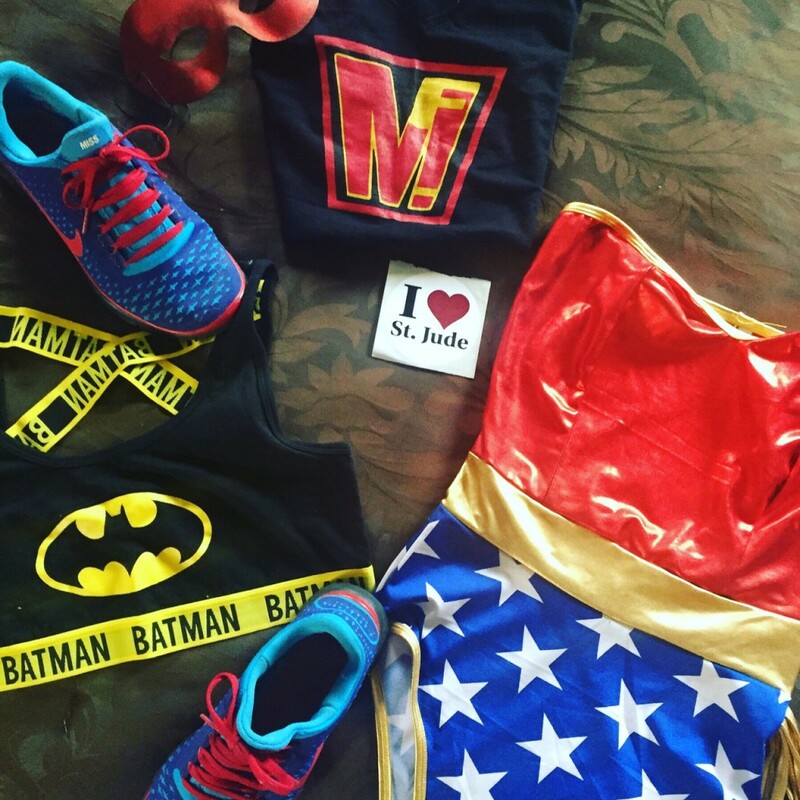 In an effort to make my running easier and a lot more fun, I have pulled out some of my favorite super hero cosplay costumes to run in, because being Wonder Woman, Batgirl or Miss Fit, should make running in this heat wave a lot easier…Right? Who wants to sponsor BatGirl, Wonder Woman or Miss Fit with a donation to St Jude’s kids? All you have to do is click on my link “Sponsor Miss Fit” – xo Thank u! Join me for my live member cam show this week on Friday 6/10/16 at 8pm Et / 5pm Pt. – We have so much fun to catch up on. Let’s Do It this Friday! My Muddy Weekend and Whats going on. Dear Members, Are you wondering where I am? Well friends I haven’t forgotten about you, But I’m NOT EXACTLY OUT OF THE PROVERBIAL MUD PIT JUST YET! 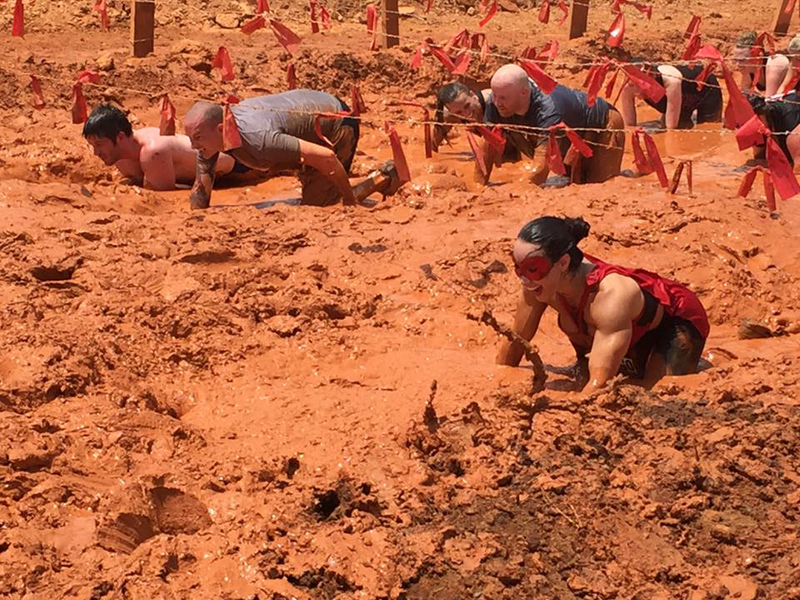 The fact is that travel to meet my amazing St Jude Warrior Dash team in North Carolina this weekend coupled with fighting for the kids with non-stop fundraising efforts, training for the obstacles, crawling through the most gorgeous orange mud imaginable — followed by more travel after the event literally have me buried with work and personal responsibilities that still require my time and attention. On some level I feel like I am still fighting the obstacle course and I really want to thank you for being patient with me as I pursue my annual fundraising mission for the kids of St Jude. Consider yourselves hugged and kissed for your support. I promise that I will be posting my newest member post later today along with a set of muddy sweaty pics from St Jude Run.